Our colorful Finger Monsters are so striking they deserve to be displayed all the time. ThatÕs where these Wall Monsters come in. 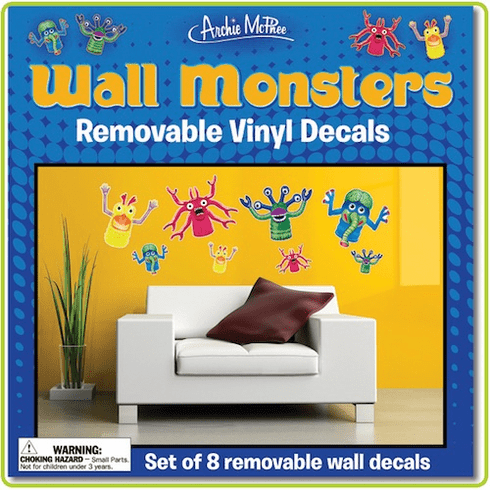 They are beautiful, removable vinyl decals that you can stick on any painted surface that needs a splash of the frightfully awesome. Set of eight includes four monstrously huge 11" (28 cm) tall decals and four terrifyingly tiny 5-1/2" (14 cm) tall decals.